Samsung has never been shy about releasing plenty of devices - this is the firm with more smartwatches than anyone else, don't forget - and whatever the time of year you're never too far away from a product launch from the South Korean firm. The super-sized Galaxy Note 5 is the latest device in the series that helped to define what a phablet was - although there is a catch if you're in the UK. But worry not, Samsung is so fond of phablets that it has also launched the super-sized Galaxy S6 Edge+ (click for our hands on review) alongside the Note 5 (click for our hands on review), giving it a duo of palm stretchers as we enter the busy third quarter of the year. With this in mind you'll probably want to start stretching the pockets of your skinny jeans and going through your hand exercise routine. The two handsets share a lot of the same features, with both sporting a punchy octa-core processor, 4GB of RAM, 16MP rear camera (the same stellar effort found in the S6), 5MP front snapper, 3000mAh fast and wirelessly charging battery and Android 5.1 Lollipop. The Note 5 with its S Pen stylus will appeal to the dedicated Note market, while the S6 Edge+ aims to satisfy those yearning for a larger screen without the fuss of the Note's additional functionality. And Samsung Pay has also launched today, too. Samsung itself has said that the Galaxy Note 5 is on the way and it has an Unpacked event scheduled for August 13 which is being heavily tipped as the launch platform for the handset. Its predecessor, the Samsung Galaxy Note 4, first broke cover in September 2014, so it looks like the Korean firm is going to get ahead of itself this year. It's probably an attempt to get the jump on Apple and the iPhone 6S announcement which we expect to happen during the second week of September. The Note 5 (as the name suggests) is the fifth edition of the phablet, and launching a new model in the series has become an annual tradition for Samsung. Recently, the Note has got more competition in the form of the iPhone 6 Plus and the Nexus 6, but the Note has always been marketed as separate from Samsung's phone line. This time round though it looks like it may get competition from one of its own, with the Samsung Galaxy S6 Edge+ - a super-sized variant of the S6 Edge - also heavily rumoured to arrive at the same time as the Note 5. Needless to say, we can't wait to see what Samsung has in store for us on August 13. We'll be reporting live from the London and New York events, so stay tuned to find out all the latest. What do we think we know about it? Each year, the Galaxy Note devices traditionally take their cues from the Galaxy S phones that precede them, and it looks like the Note 5 will be no different in that respect with a distinctive link to the Galaxy S6. We got a glimpse of the S6-like design thanks to a case rendering leak which revealed a theme very similar to the one set down by the Galaxy S6 Edge, though this time the curves are around the back of the case rather than on the front of the screen. You can get an even better idea of what the Note 5 and S6 Edge+ may potentially look like with a more recent render leak which shows both handsets in all their glory. The screen size was initially tipped to be a mammoth 5.89 inches, but those rumours appear to have settled down with the general consensus of leaks now pointing towards 5.7 inches. Early hopes of a 5.9-inch, 4K display have been pretty much dashed - although keep an eye out for this in 2016 and the Galaxy Note 6. As far as the Galaxy S6 Edge+ goes we expect it to sport a similar screen to the Note 5, but with the curved edges either side. In terms of power we're probably looking at Samsung's own Exynos processor and 4GB of RAM, while a sizable 4100mAh battery has also been mused for the Note 5. The S Pen stylus is also on course for an upgrade, with a few new features mooted, although it's likely to only feature on the Galaxy Note 5 with the S6 Edge+ set to miss out. It might even pop out of the handset automatically, which would be pretty cool. How plausible are the rumours? In terms of the Samsung Galaxy Note 5 launch date it's pretty much set in stone. Even Samsung has dropped heavy hints about what it will unveil during its August 13 event. 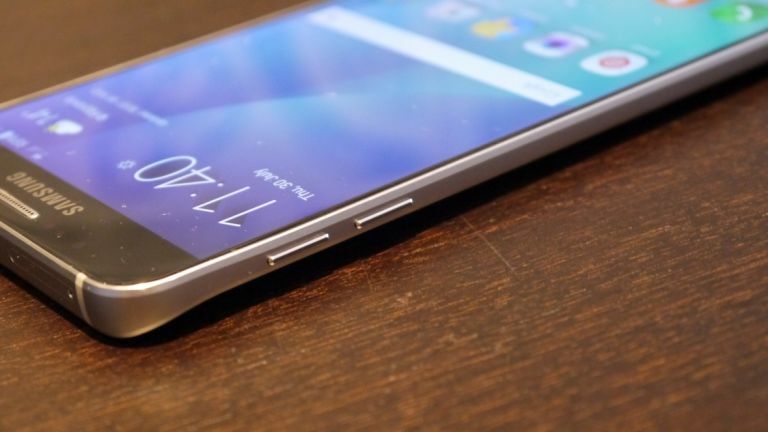 Less concrete is the appearance of the Galaxy S6 Edge+, but the sheer volume of rumours surrounding it means we're pretty confident when we say it'll be there too. When it comes to rumours surrounding design and specs we're feeling more confident by the day as fresh leaks continue to validate previous reports. With the variety of rumours, and our knowledge of previous Samsung Note upgrades we feel relatively secure when saying design wise both the Note 5 and S6 Edge+ will take many of their cues from the Galaxy S6 and S6 Edge. Look at the technical side of things a lot of the specs are still up in the air, but it's looking like you'll see Samsung stick with a 5.7-inch display for both the Note 5 and Galaxy S6 Edge+, while a boost to 4GB of RAM, octa-core processor and wireless charging all appear to be on the cards after a box leaked. One of the more outlandish predictions we've heard is that the Note 5 is going to come with a detachable keyboard cover, which would be a shot across the bows of the iPad and make it easier to use the Note as a productivity device. It's not completely out of the question, but it looks unlikely for a device this size. What could its impact be? You might think the Note devices are an unnecessary addition to the Galaxy phones, but they're some of Samsung's most successful products - they're particularly popular in China and the rest of Asia, where people can't get enough of these big, stylus-equipped devices. With its top-end specs, you can expect the Note 5 (and whatever arrives alongside it) to be another hit. Part of that is down to the fact it doesn't really have any competition in terms of big, phablet-style devices with stylus support. LG has had a half-hearted attempt with the G Stylo, but none of the other big players seem prepared to give Samsung a fight in this particular segment of the market. Samsung's Notes follow the Galaxy phones, not the other way around, so apart from spec and display improvements there shouldn't be too many surprises when the Note 5 finally does show its face. After that, we can turn our attention to the Galaxy S7. And don't forget to check out our guide to the best smartphones, too.